Matthew Willis is an author of fiction and non-fiction, specialising in naval history. 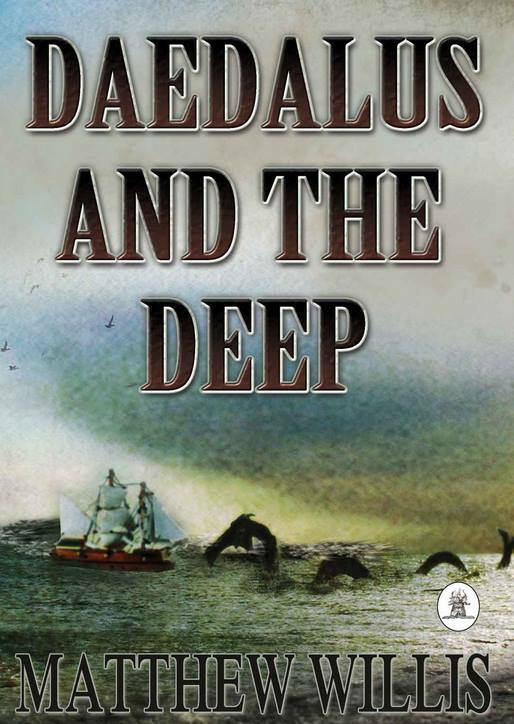 His first novel, Daedalus and the Deep, the story of an encounter between a warship and a sea serpent in the 1840s, was published in June 2013. He was born in the historic naval town of Harwich, Essex in 1976. and grew up in a nearby village, never far from the sea. Matthew studied Literature and History of Science at the University of Kent, where he wrote an MA thesis on Joseph Conrad and sailed for the University in national competitions. He subsequently worked as a journalist for Autosport and F1 Racing magazines, before switching to a career with the National Health Service, where he wrote everything from press releases to consultation papers. His first non-fiction book, a history of the Blackburn Skua WW2 naval dive bomber, was published in 2007. He currently lives in Southampton with his University lecturer wife Rosalind. For Midshipman Colyer of the corvette HMS Daedalus, life is a constant struggle: savage pirates in the South China Sea, an erratic Captain, and a perfectionist First Lieutenant. Things are made no easier by the need to guard a personal secret at all costs. But the voyage of the Daedalus takes a stranger turn when the ship encounters a giant sea-serpent in the South Atlantic, and is plunged into a headlong pursuit of the creature in the name of science, personal glory, and the promise of fortune. But as the quest leads further into the cold wastes of the Southern Ocean, becoming ever more dangerous, Colyer begins to wonder just who is hunting whom? The sea-serpent’s purpose could turn out to be more sinister than anyone on board the Daedalus imagined.